New car sales passed a five year high in September, with registrations up 12 per cent on 2012. Data from the Society of Motor Manufacturers and Traders (SMMT) shows that more than 400,000 cars were registered in September, with private sales representing 10 per cent of the year-on-year increase. 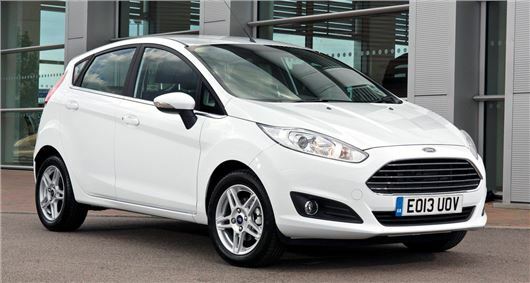 Ford remains the most popular manufacturer, with 20,629 Fiestas sold in September while Vauxhall took second place for monthly sales, with the Corsa accounting for 14,464 registrations. The SMMT claims that one in seven of new cars sold are made in the UK, with both the Vauxhall Astra and Nissan Qashqai holding positions in the top 10. Private registrations were up 17 per cent on 2012, although fleet sales witnessed a modest five per cent rise on 2012. September is traditionally a popular time in the UK for new car sales as it’s one of the two months when a new registration number is issued. However, recent economic growth and an improved outlook for 2014 has been attributed as a driving force behind the 19thconsecutive month of growth of sales, with buyers keen to take advantage of fuel-efficient new models. Although the figures for September 2013 (403,136) are still short on the average before the credit crisis of 2008, it’s widely believed that UK registrations will continue to be strong for the remainder of the year. ‘The September new car registrations figure was the highest monthly total since March 2008. With over 400,000 new cars registered for the first time in more than five years, the UK market is reflecting growing economic confidence,” said Mike Hawes, SMMT Chief Executive.